Henry Park is not a detective. He is a spy. He is not Korean. He is born in America to Korean parents,but speaks Korean until he enters kindergarten, a scenario familiar to so many hyphenated Americans. He hires on as a spy for Glimmer and Associates, a consulting firm. 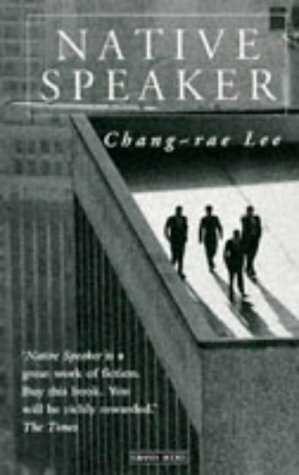 His job is to infiltrate the deepest deeds and thoughts of Asian-Americans assigned to him in order to bring them down or to penetrate their foreign connections. He flubs his first assignment because under the kindness of his target person, he instead reveals himself rather than burrowing to the good man's core and exposing his Marcos connections. Henry is married to a white New England woman, Lelia. They are suffering from the death of their seven year old child, Mitt. Henry's remoteness has made him unable to express his mourning, and so antagonizes his wife. Little by little and pain by pain they reconcile. Henry's next assignment is to find out about John Kwang, a politician and would-be New York mayoral candidate. He has transference to Kwang as a father figure, as do so many minority constituents. But under Henry's sharp observation, excellent memory and alienation, Kwang's weaknesses are revealed. These are the same qualities in Kwang that are his own downfall. His assignment finished, Henry works with Lelia, a speech therapist, to help other non-native speakers. Into the Foreign authors' BookBox. Picked from kinedi' foreign book box. I didn't really get into this book, although I made it to the end. Thank you! A book and an author I have not heard about, always interesting.